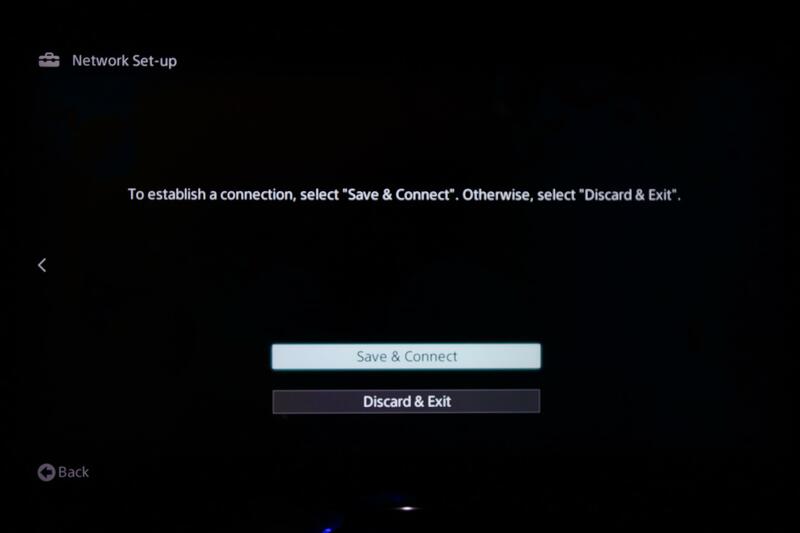 How to configure SimpleTelly on your Sony Smart TV. This page will guide you through the setup process on a Sony Bravia Smart TV. 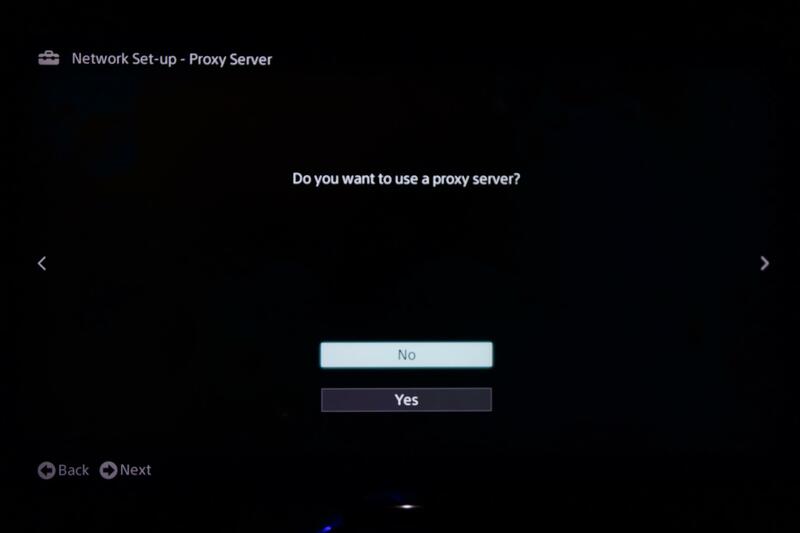 Note, while the Bravia has an inbuilt web browser, we recommend that you use a computer to register your IP on our network. 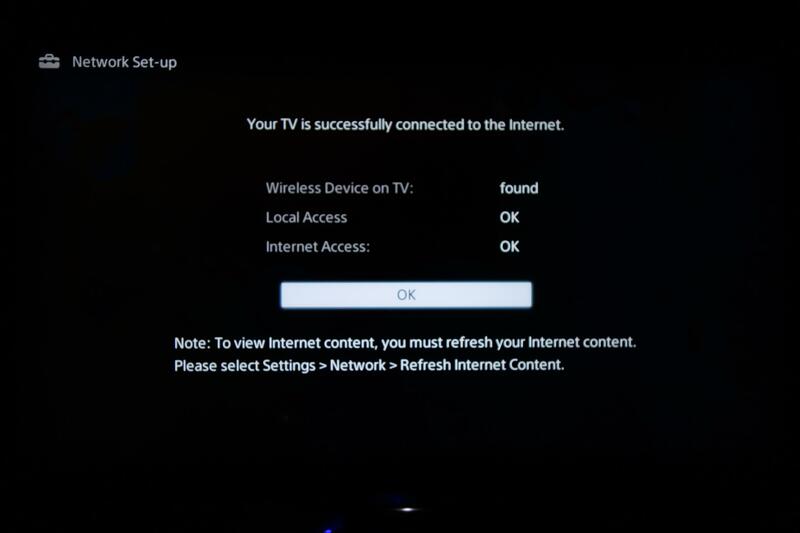 Please ensure that you have completed this and you are able to connect to the Internet from the TV before trying the steps below. 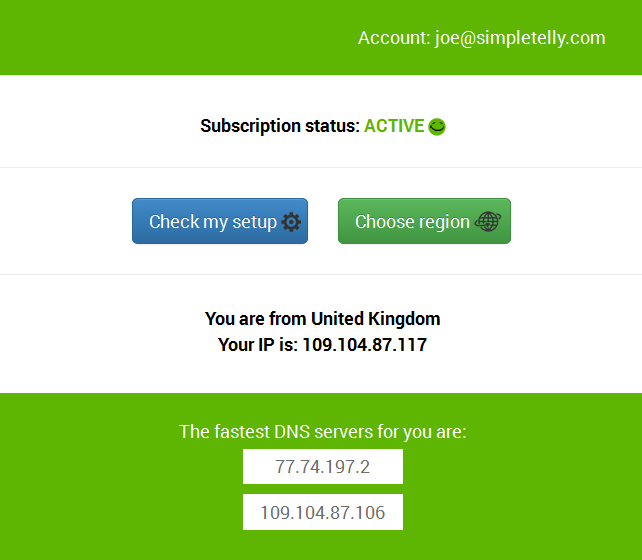 Login to our website, www.simpletelly.com from a computer on the same network as your TV. 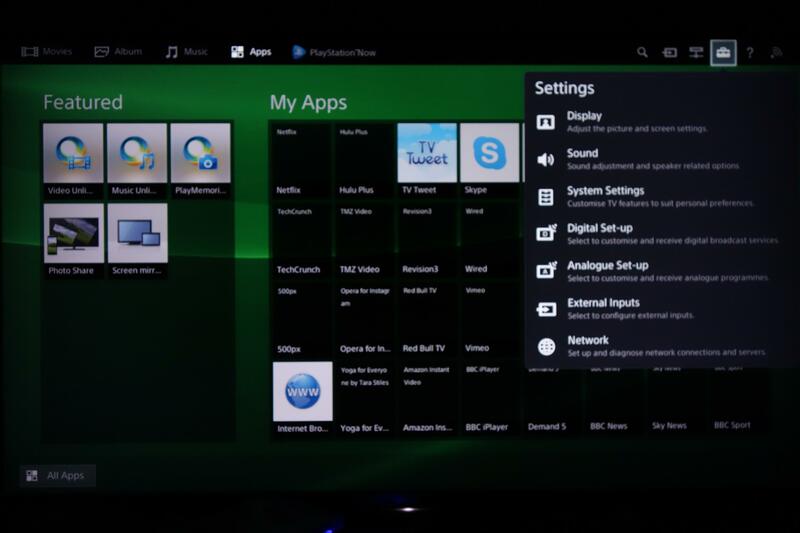 From your Bravia Sony Entertainment Network (SEN) Screen, please navigate to the top right hand corner of the screen to find the Settings menu. 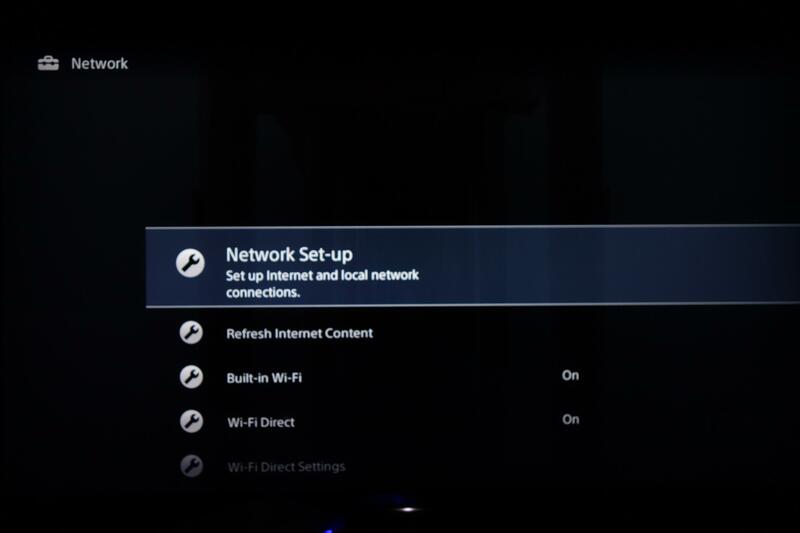 Once you've selected the Settings menu, scroll down to the Network option. Next, you will be taken to a list of options to choose from. Please choose the first option, which is Network Set-up. The following screen will ask for confirmation on which type of Internet Connection you'd like to use. If you're using Wi-Fi, please select Wi-Fi Set-Up. 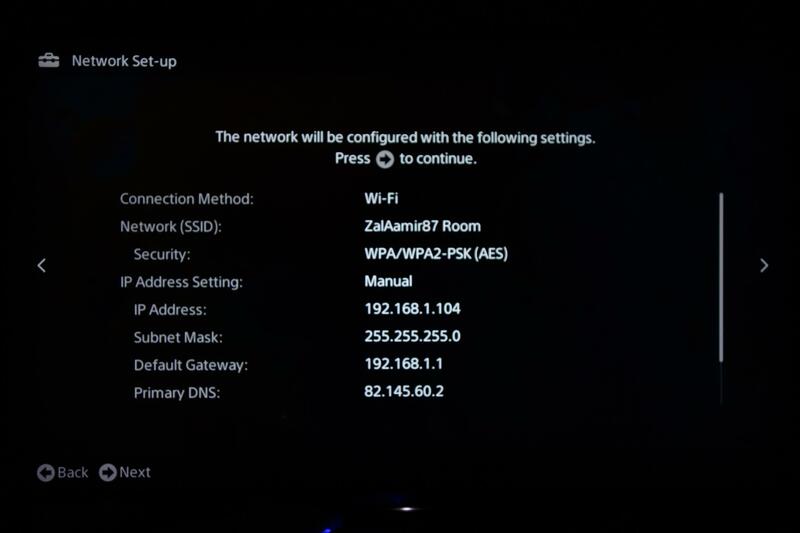 For the purpose of this tutorial, we're selecting Wi-Fi Set-Up. 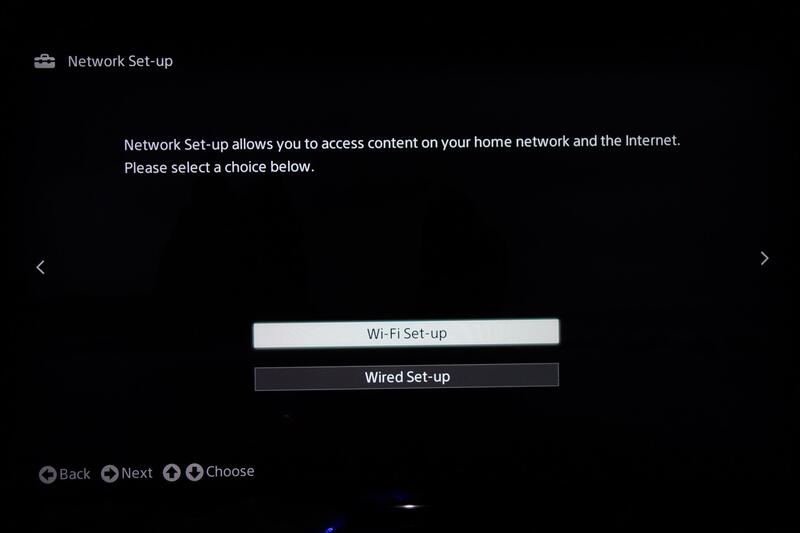 Continue with your wireless set up by selecting the network you intend to connect to and proceed to the next screen to enter your Wi-Fi password. 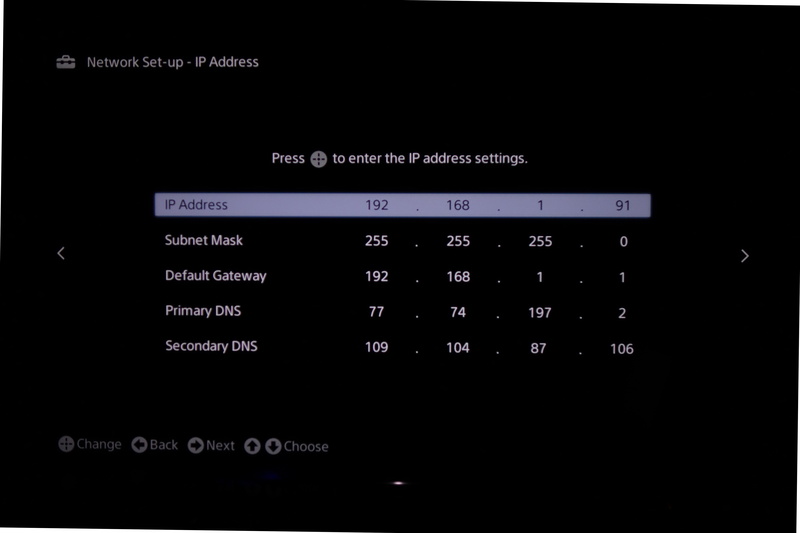 The next menu is the most important as this is where you will tell the TV that you will be setting your own DNS servers. 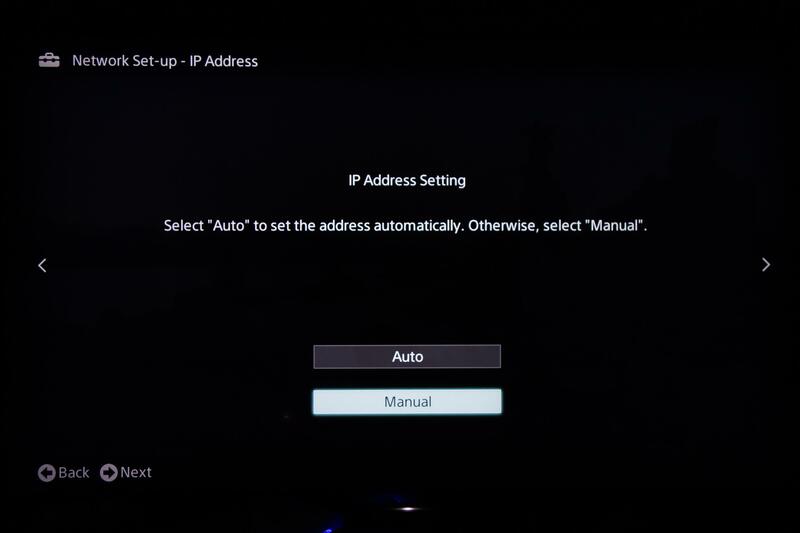 Please select Manual when the IP Address Setting appears. Once you've selected Manual in the previous window, you will be presented with a list of fields to fill in. 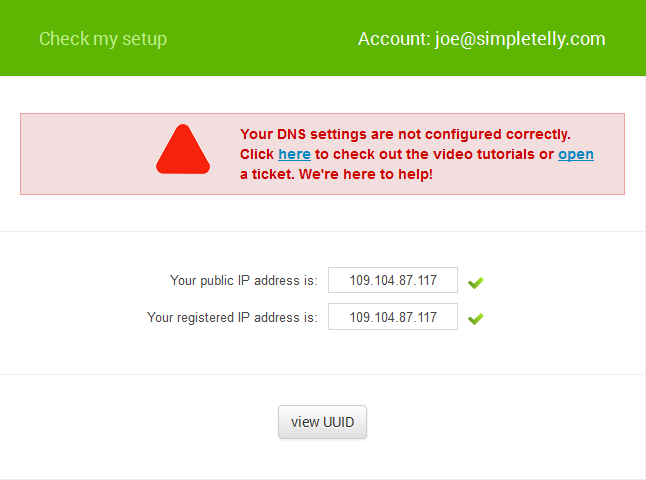 The IP address can be anything you want, however please ensure that the first three fields are the same as your router. Only change the final field. Leave the first three the same as what your router uses. Once you've entered that, please enter the DNS addresses that appeared on your browser earlier into the fields shown in this screen. 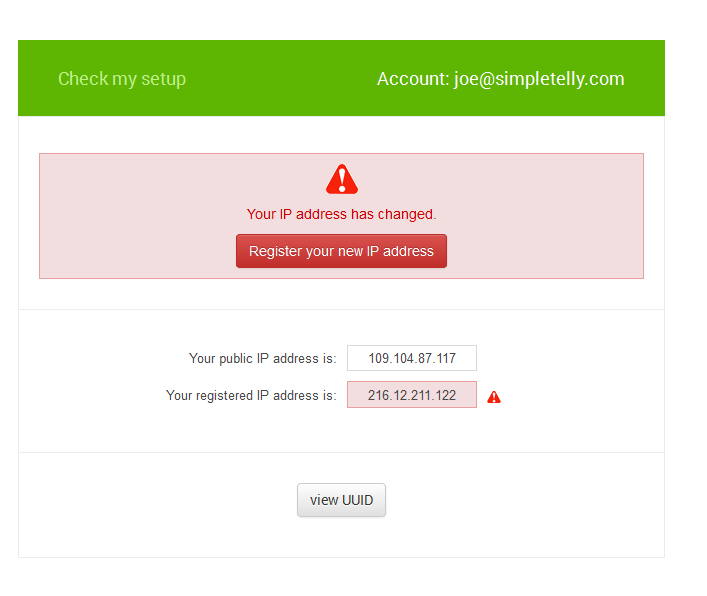 Once the IP address settings have been finalised, you will be greeted with a request to use a Proxy Server. Please select No. 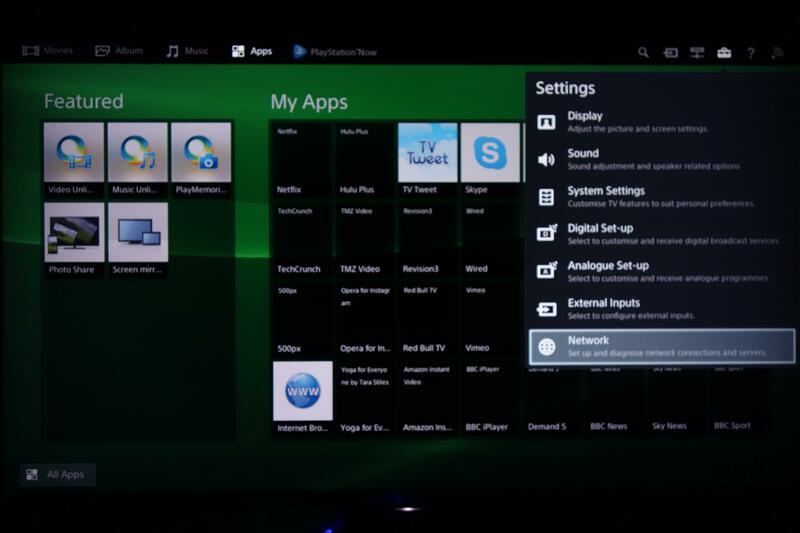 The next screen will confirm the details entered during the network setup. Press the right arrow on your remote to continue. Finally, please select Save & Connect. This will test your connection to ensure there is no problem with your Internet connection. Congratulations! If you see the screen shown below, it means the configuration is complete and you should now be able to watch the TV channel of your choice. To download the region restricted apps to your Bravia TV, all you need to do is go back to the main network menu and select Refresh Internet Content. 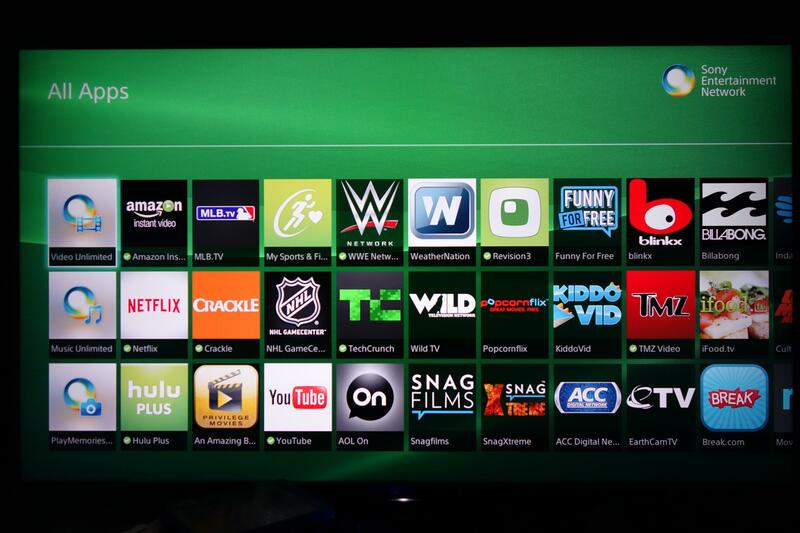 Allow it to refresh and the apps will appear in the All Apps menu at the bottom left of your TV.